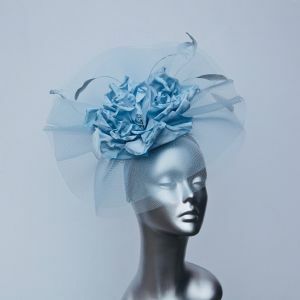 Gorgeous effervescent Mother of the Bride hatinator in a soft pale blue shade, sitting on a comfortable band. The fascinator is topped off with a profusion of shimmering crin and a silk flower, trimmed with feathers. 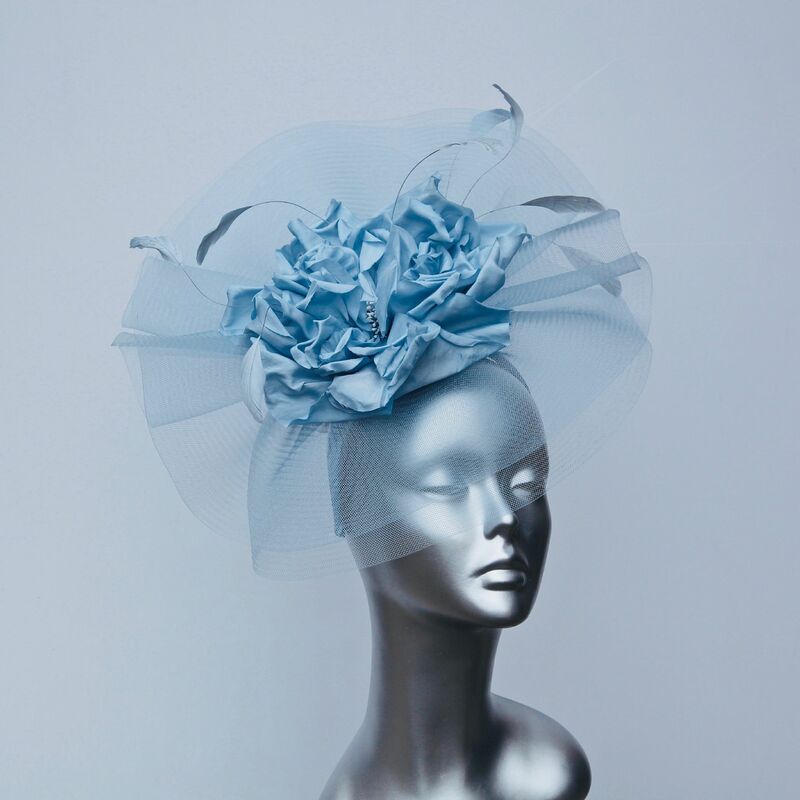 This is a fabulous wedding hat for either a member of the bridal party or a wedding guest - and just as suitable for a day out at the races.